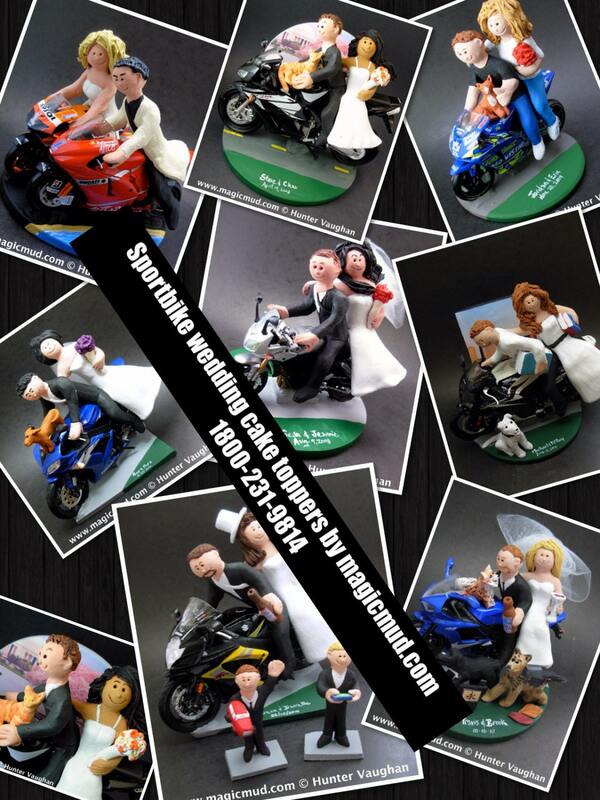 Motorcycle Wedding Cake Toppers, Bikers Wedding Anniversary Gift/ Cake Topper, Motorcycle Couple Wedding Anniversary Gift/Cake Topper. 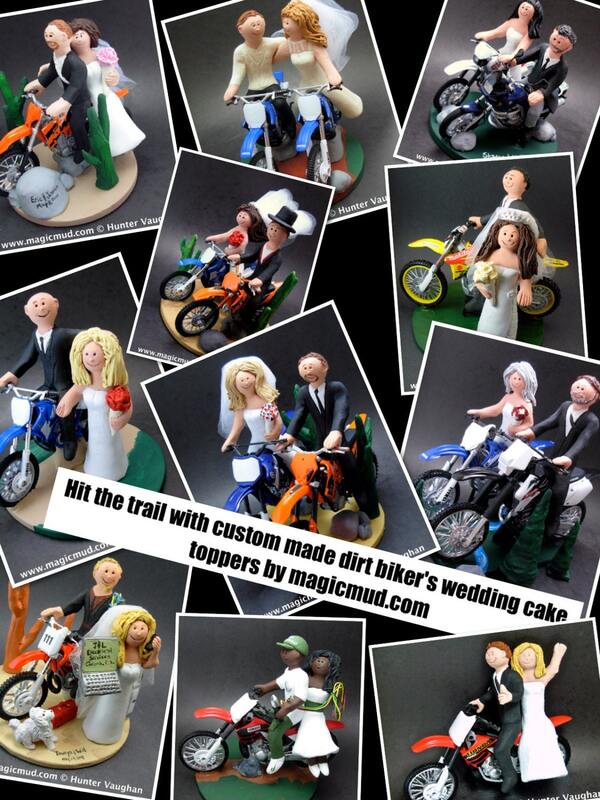 Bikers Wedding Anniversary Gift/ Cake Topper, Motorcycle Couple Wedding Anniversary Gift/Cake Topper. 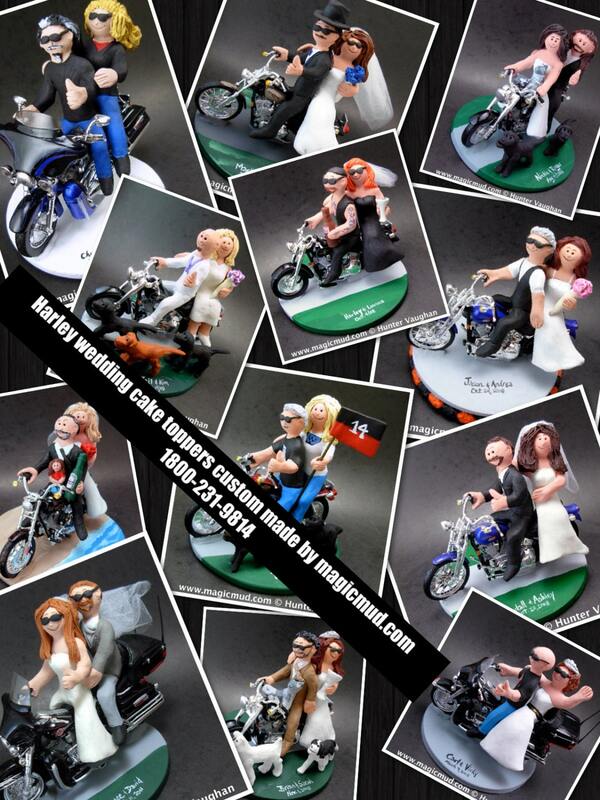 Bride and Groom Riding Harley-Davidson Motorcycles Wedding Cake Topper, Custom Made to your specifications. Made just for your wedding day! Both the bride and groom are riding their own harley motorcycles!! 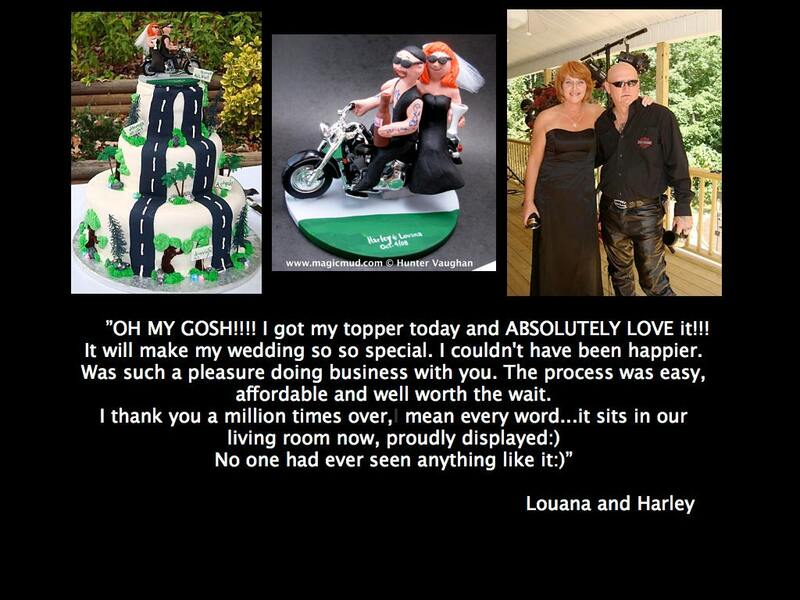 Handmade to your specifications by Hunter, Lois and Jupiter Vaughan of www.magicmud.com a fired clay Harley Davidson Motorcycle Wedding Cake Topper custom created for you! This photographed listing is but an example of what we will create for you....simply email or call us toll free with your own info and pictures of yourselves, and we will sculpt for you a treasured memory from your wedding.